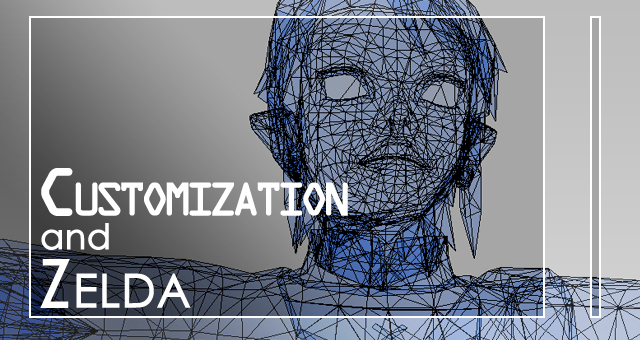 An increasingly important element in the gaming world is that of customization, whether it be the ability to modify the controls, RPG-style character building, or good ol’ pure unadulterated non-linearity. While typical Zelda games have a mostly static inventory, meaning that players will obtain the same core items in more or less the same order on every playthrough, there have been a few instances in which the series has broken the mold. Using the past as our guide, let’s speculate what means of customization – both old and new – might exist in the future. Way back in ‘86, the world of Zelda didn’t have the Master Sword, the Four Sword, or pretty much any special weapon that was deeply tied to the story and universe. There was just Link, his trusty blade, and whatever else he happened to run across as he traveled Hyrule. The original Legend of Zelda had two sword upgrades that existed purely to make Link stronger. Link could only equip these swords if he had enough Heart Containers, which offered a feeling of “growth” that rewarded players for their curiosity and diligence. This style of upgrading returned in both A Link to the Past (Link could even upgrade his Master Sword!) as well as in Majora’s Mask the games for GameBoy Color. Ocarina of Time took the new sword concept in a different direction. Instead of giving you a stronger version of your previous sword, Ocarina had the two-handed Biggoron Sword, the most powerful weapon in the game, which went into your inventory along with the Master Sword. It handled differently than the Master Sword as you couldn’t use a shield, so the power came at a cost. 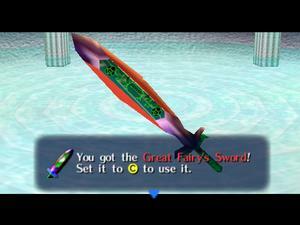 The Oracles games also included the Biggoron’s Sword as a linked game secret, and Majora’s Mask borrowed from this tradition as well by including the extremely-hard-to-get Great Fairy’s Sword which worked in basically the same way. Beyond the hidden swords, there were also mighty magic rings that increased Link’s defense. The Legend of Zelda had only two rings: the blue ring and red ring. A Link to the Past changed them from rings to tunics, but kept the blue and red colors, and Link’s Awakening‘s rerelease on the GBC put a spin on the new direction, giving the red clothes an attack boost while the blue clothes bestowed an increase in defense. But the idea really exploded in the Oracles games, where Link could equip rings with a wide variety of effects, from the classic attack and defense upgrades to increasing damage with bombs to protecting him from cracked floors, and even a few that allowed him to assume a different form. Phantom Hourglass offered its own unique upgrade system, giving Link’s weapons special properties based on the spirit partner he had equipped as well as the number of Spirit Gems he had uncovered. The abilities included a sword power upgrade, an increase in his shield’s capabilities, and the classic Sword Beam power. Besides these more prevalent examples, an often overlooked element was Zelda II‘s level up system, which while not optional strictly speaking did give players the choice to upgrade Link’s stats however they liked. Another longtime staple of the series – hidden items have been around since the NES days, and have been kept strong ever since. Outside of the sword and ring upgrades, The Legend of Zelda also had a pair of especially-powerful objects: the magic book and magic rod. Alone they were useless, but when combined Link had a fire-shooting tool that could burn through almost anything. Because of its different approach to gameplay, items took a backseat in Zelda II, instead replaced by special abilities: the down thrust and up thrusts, which Link learned from knights hiding in towns throughout Hyrule. What other hidden items have there been throughout the series? A Link to the Past had the Magic Cape and the Cane of Byrna, both of which offered Link some measure of invincibility. Ocarina of Time featured a plethora of optional goodies: Farore’s Wind and Nayru’s Love and the now-iconic Fire and Ice Arrows. The Oracles games had several items that only appeared in a linked game, as well as its trademark magic seeds, which had varying abilities and could either be tossed by Link or shot out of projectile weapons. 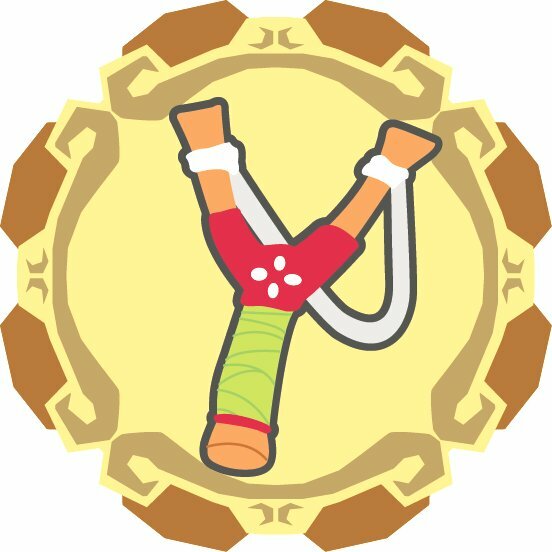 Minish Cap gave players the Mirror Shield and Light Arrows as rewards for completing certain requirements after defeating the final boss. Wind Waker had a couple of its own hidden items: the Hero’s Charm and Magic Armor – the latter of which would later appear in Twilight Princess in another form. Of all the games in the series, though, Majora’s Mask takes the cake on unrequired goods with its massive mask collection. Speaking of the masks, many of them also offered special abilities – the Bunny Hood’s increased speed, the Stone Mask’s invisibility, the Blast Mask’s rechargeable explosive capabilities, the Bremen Mask’s propensity to compel animals (and some enemies) to follow the leader. These are of course some of the more bizarre examples. Other games have included sword skills after the pattern of those seen in Zelda II: specifically Wind Waker‘s Hurricane Spin, one of my personal favorites and a pioneer for special skills in 3D, as well as those bequeathed by the Swordsman’s Scrolls in Minish Cap, Twilight Princess, and the DS games. So that’s past, what about the future, beginning with Skyward Sword? While the storyline probably rules out the most traditional sword upgrades – Link seems to have the titular blade from the very beginning, and we know it maintains its original form when it becomes the Master Sword at some point during the game – we might still see some opportunities for Nintendo to flex their ingenuity and give us new ways to incorporate options for the player as to how their character will grow. Many have speculated about why Nintendo might have chosen to include the Slingshot. It certainly seems like a superfluous choice given its unpopularity and relative uselessness in Twilight Princess. That aside, think back to the Oracles games and their magic seeds. Giving the Slingshot’s projectiles magic effects would offer it a distinct purpose separate from the Bow as not only a closer-range weapon but also one that could have a wider variety of effects on the game world. We could see Ember Seeds, which set whatever they come in contact with ablaze, or perhaps the return of Deku Nuts, which stun whatever they touch. Some seed varieties might be optional and only useful in battle against enemies in the field – poisoned seeds, seeds that blind or confuse the enemy, or possibly even a sort that transforms certain enemies into bizarre forms after the pattern of the Magic Powder of old. Personally, I really enjoyed the Bunny Hood’s speed increase in Majora’s Mask, and while it did help a lot in finding shortcuts through dungeons, if such an upgrade were to reappear in a future game, I’d want it to remain optional. Skyward Sword could reintroduce the hood’s super speed as well as offer a bit of fanservice by including the long-lost Pegasus Boots. Of course, there’s already a dashing mechanic in place, but it runs off of a stamina meter – the Pegasus Boots could allow Link to run at that speed, likely even faster, without depleting his strength. I’ve commented before that I’d love to see multiple swords controlled in multiple styles in Zelda, and while the omnipresence of a Certain Magic Sword will probably cause that dream to fall flat for Skyward Sword, I still have hope that swordplay might be customizable in at least a few ways. It’s hard to say how sword abilities in the vein of Twilight Princess‘s Hidden Skills would work with Motion Plus, but what about a system like that seen in Phantom Hourglass, where Link can increase his sword’s power or add different attributes at intervals throughout the game? It would run neatly parallel to the inevitable transformation of the blade into the Master Sword we all know and love. Honestly, I’ve no idea what the future holds, but I get the feeling that Nintendo will toss in a surprise or two that will fit the experience better than anything I could ever come up with. Don’t let me down, Zelda team.